Anglo-Saxon studies, and medieval studies more generally, has always been a pioneering discipline in the use of digital technology. From early projects like the Dictionary of Old English and Electronic Beowulf through more recent contributions such as the Anglo-Saxon Cluster and DigiPal, Anglo-Saxonists have always been ready to adopt promising new technologies and approaches when these have been able to help us in our research and teaching. 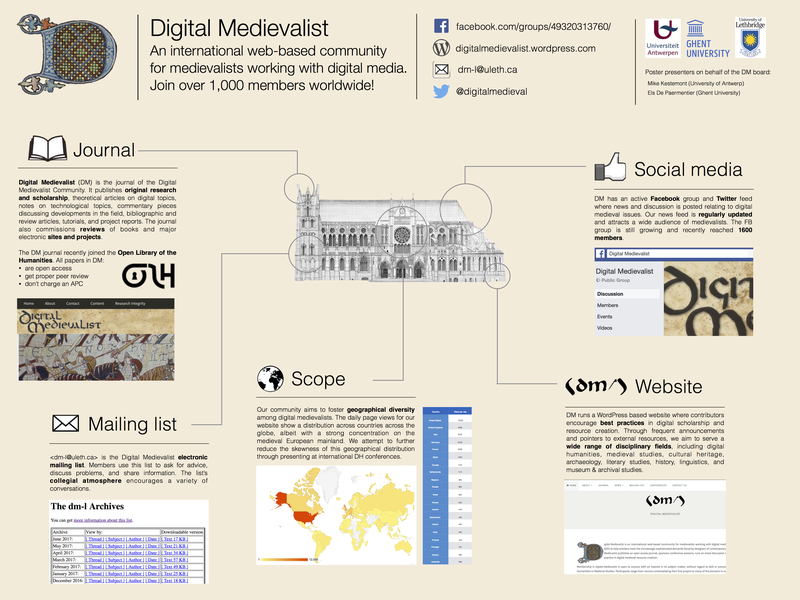 The rapid rise of the “Digital Humanities” as a major international focus of cross-disciplinary research, teaching, and scholarship presents a unique set of challenges and opportunities. In addition to introducing new tools and platforms, the Digital Humanities is also introducing new ways of working and understanding scholarly research. New forms of networking, of quality assessment, and of publication are challenging our traditional ideas as to the nature of scholarly practice and communication. An emphasis on interdisciplinarity, team research, and open approaches to data and software development are challenging our traditional ideas of research specialisation and collaboration. 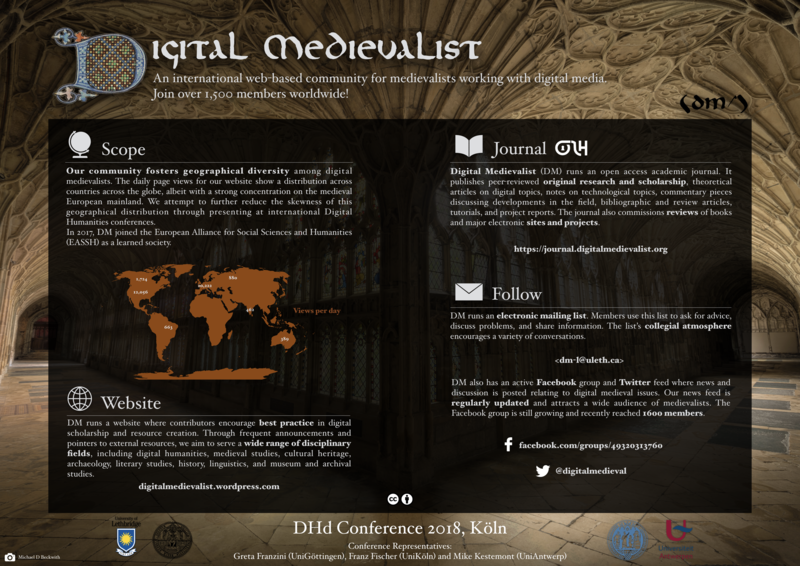 This roundtable seeks contributions from projects and practitioners of the Digital Humanities and Anglo-Saxon studies. The question we are asking is how these new approaches are changing the way Anglo-Saxon studies is being practiced and how traditional scholarly goals and practices can be accommodated or adapted to work with what appears to be a fundamental change in the way humanities scholarship is practiced, understood, and supported by funding agencies and the public. The round table will follow the following format: speakers will be asked to prepare a position paper in advance of the meeting. These papers will be shared among the speakers and published informally in advance on the web. At the meeting, each speaker will have a maximum of 5 minutes and 5 slides to summarise their paper for the audience. A general discussion will take place in the remaining time. Speakers will also have the opportunity to publish longer versions of their papers in an edited collection we will be putting together of papers from the 2013 ISAS and Leeds conferences. If you would like to be considered for this round table, please send a short abstract (approx 500 words) outlining the approach you would like to take in your paper to daniel.odonnell@uleth.ca by midnight Friday September 7. Speakers who will be included in our proposal to the conference programme committee will be notified by Tuesday, September 11. Please note: Because the roundtable itself must be adjudicated by the ISAS 2013 programme committee, acceptance for our proposed roundtable as the final decision rests with the ISAS 2013 programme committee.